Welcome to my blog, wow it has been a long time since I last posted, I have successfully completed my first year of BED (Bachelor of education) and I am loving it, only two years to go, lol. While I have not been blogging I have still been creating when I can, those who have studied know the time and dedication involved it has been really good to set a small amount of time to relax and wind down. 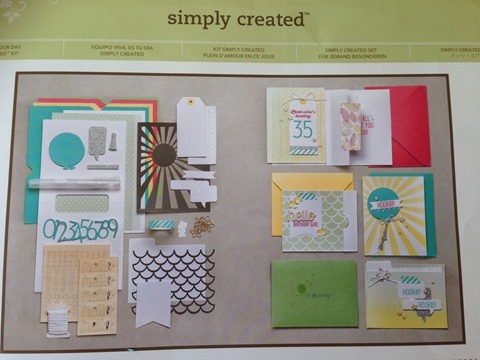 Today I am part of a blog hop that our team the Creative Inkers are doing, this is to show case the new occasions catalogue and the SAB (sale-a-bration) catalogue. Don’t forget for every $110 you spend you can choose from a range of special items that are only available during SAB for free. 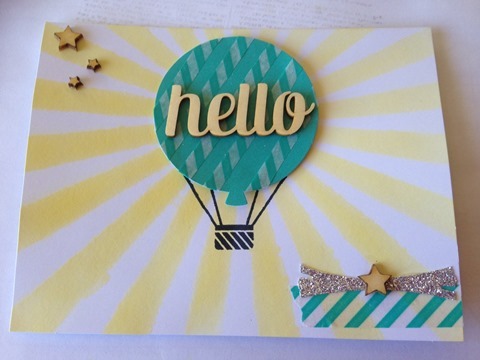 Today I am showcasing a stamp set and velum from the SAB catalogue that I have teamed up with a punch, stamp set and a touch of sparkle from the occasions catalogue. 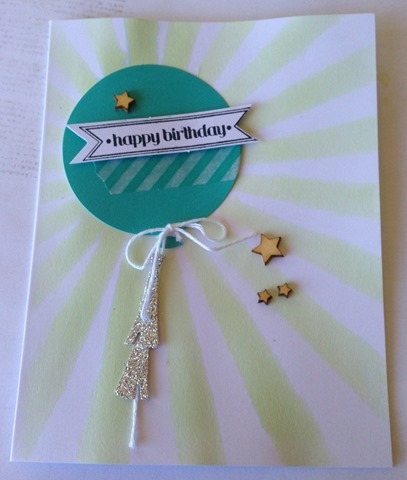 Here is a close up of the girls card as you can see I have added some sparkle using a new product called wink of stella. 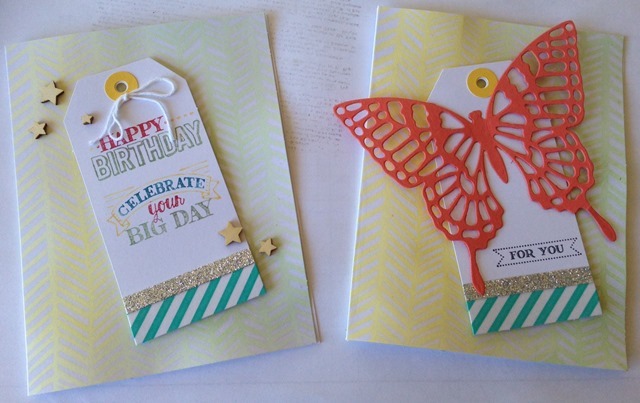 The balloons are made using the free Velum being offered, this is a 6x6inch pack. I have used our markers and coloured the velum in from behind to add the colour. Here is a close up of the boys card, for this card I added a bit of texture behind the words using the stamp set called Timeless Textures from our new occasions catalogue. 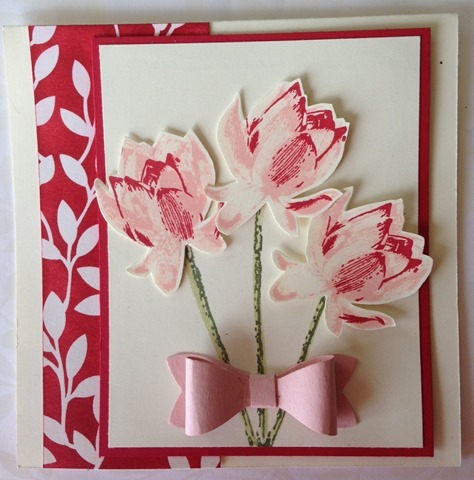 Both cards use the same sentiment from Botanicals for You from the SAB catalogue. This set is so quick and easy to use due to its size, I can see myself using it a lot for those quick and simple cards. Your next stop is over at Jacque Williams, our very talented upline. Welcome to my blog, I hope you have found some inspiration from these talented ladies. I have been really busy working on all new product as I am going on a stamp camp next weekend. I am teaching so I have a lot of samples, but until after camp I cant share sorry. 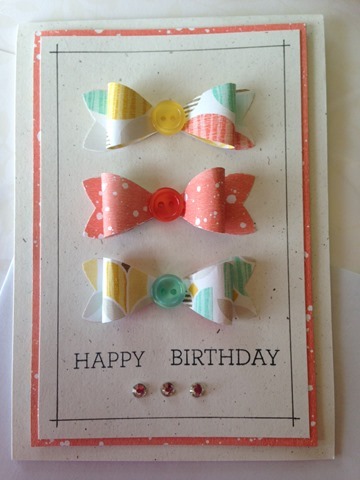 But I am going to share with you a card I have made. I still have not put a sentiment on it, as I feel this one could be used for multiple occasions. 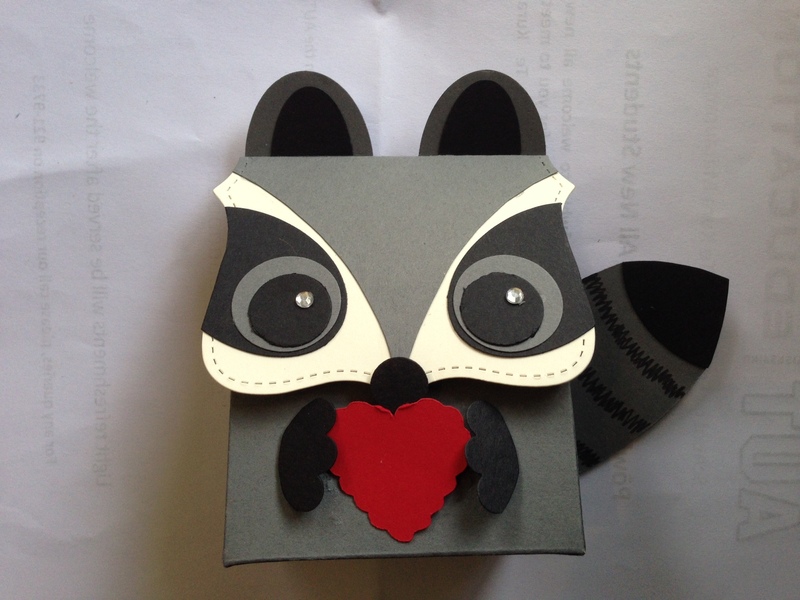 I made it for my mum to give a friend but she said it didn’t really suit the guy, but that’s ok, I have another masculine card to add to my collection. 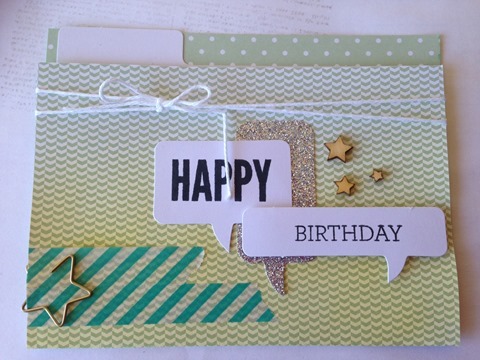 I have used the stamp Set called Moon Lake, this is a beautiful set and to me has so many different uses. I have stamped on Whisper White in Staz on, then water coloured the image. For this I have just used my Aqua Painter and taken colour from the lids of my ink pads. 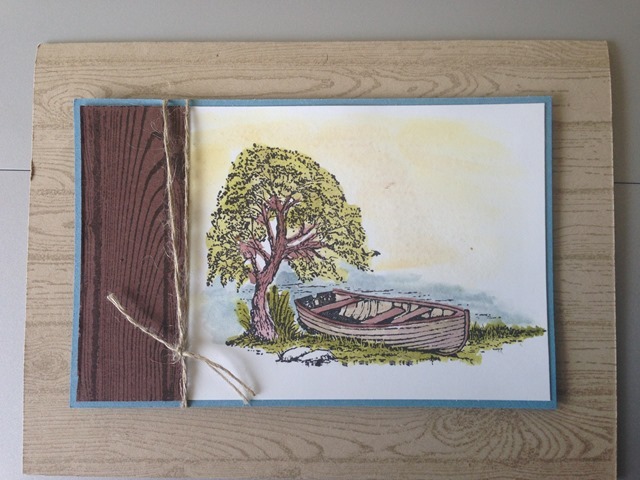 For the back ground I have used the stamp set called Woodgrain. I have finished it off with some Twine around the image and tied it into a knot. 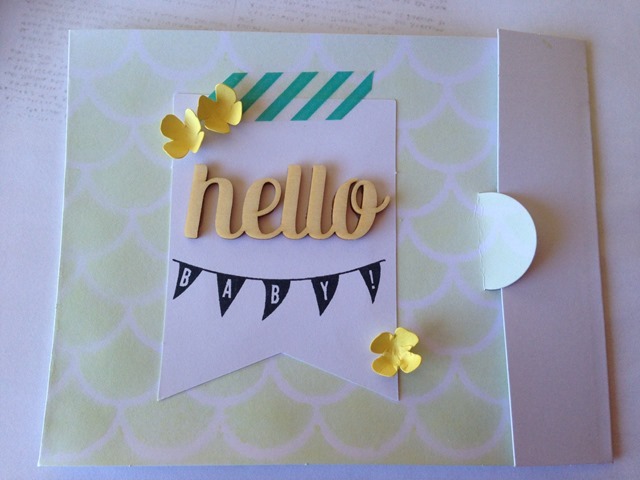 This was a nice easy card to put together and easy to re-create. 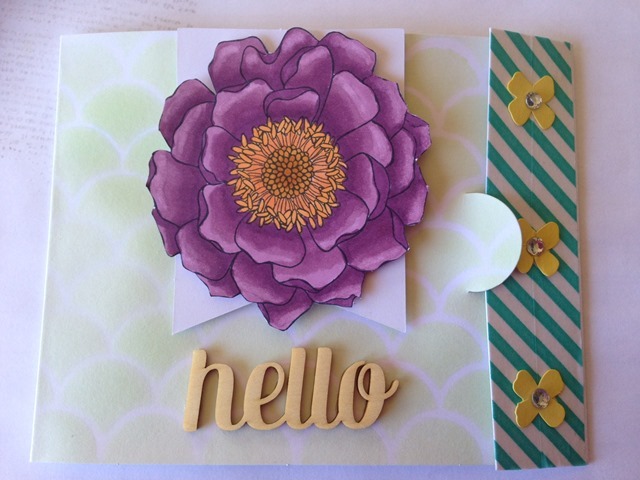 I will share one thing I have made for stamp camp, and that is this beautiful flower made using the Bouquet Bigz Die. I have placed it beside my scissors so you can compare the size. This is huge and takes a whole sheet of DSP. 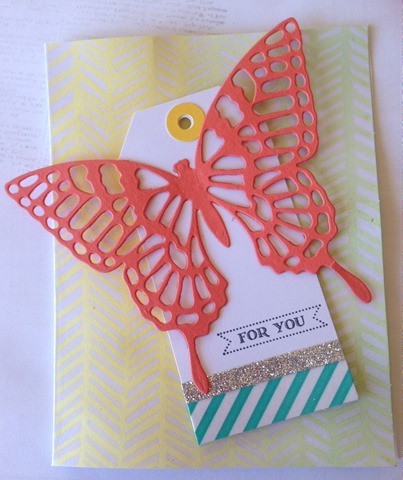 but it was fun to make, and I love the effect it will give as an embellishment on a project. 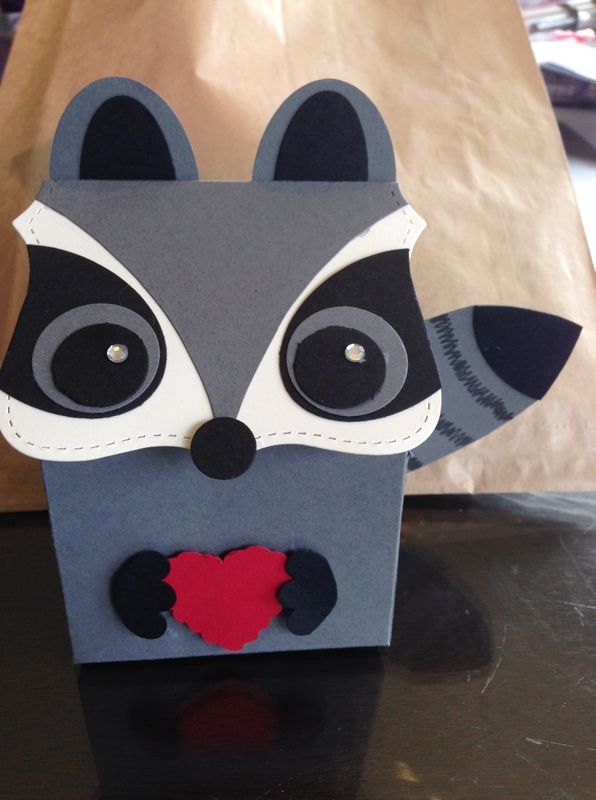 Good morning, today I thought I would share with you a cute 3D project my kids will be making this afternoon at craft class. I found him on pinterest and just fell in love with him. its a great punch art project. For the box though I have used the retired Fancy Favor Bigz die. I have also used a bit of bling for his eyes as the technique she used would be too hard for the kids to do. I have placed a small bag of lollies inside the box. Click on the item and that will take you to my online ordering option. Or you could email me with your order and I will gladly put it through for you. 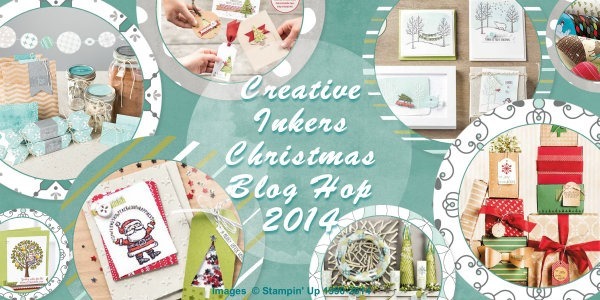 Welcome to another fantastic Creative Inkers Blog Hop. This time we are doing a Christmas one to get you all excited for the up-coming season and of course to give you some great ideas for your own Christmas projects. I have used the stamp set called Get Your Santa On from our new Holiday Catalogue. 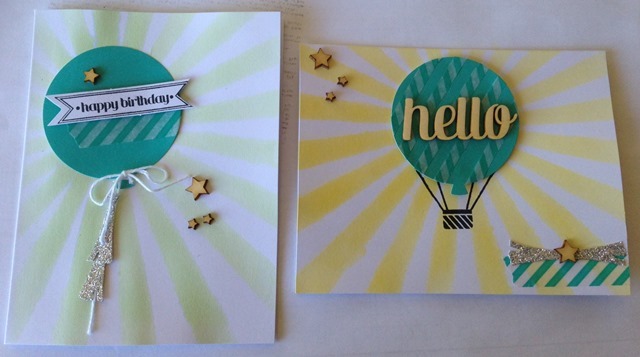 For this first card I made it for a recent team training day held by Stampin Up as a swap. I kept it very simple as I made a few of them. 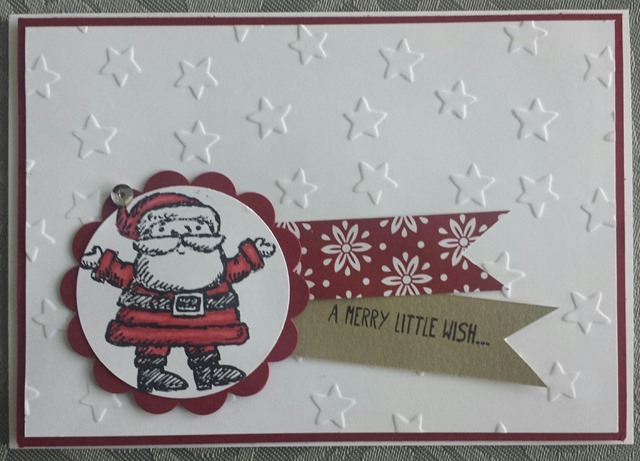 I have used the Santa stamp and coloured him in using our Cherry Cobbler Blendabilites. I have then backed it on a scallop circle piece of cherry Cobbler cardstock. 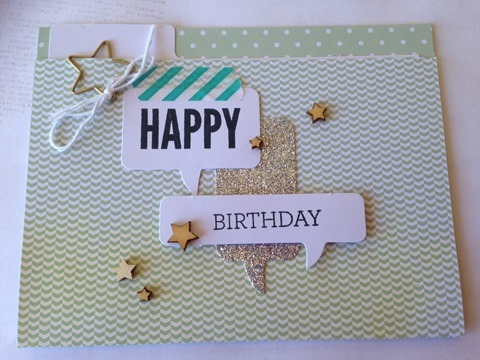 I have embossed the background using the Lucky Stars Textured embossing folder, also from the Holiday Catalogue. The sequin on his hat is from Frosted Sequins. 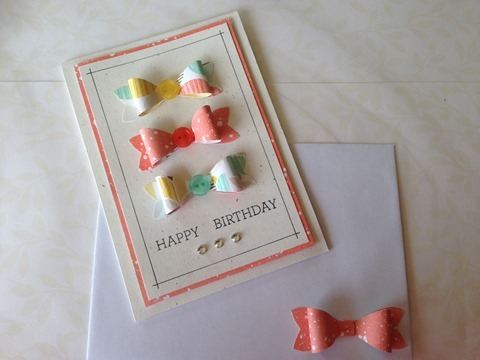 For the second card I have cased this one from pinterest by Kathleen Wingerson. I just love how it turned out. 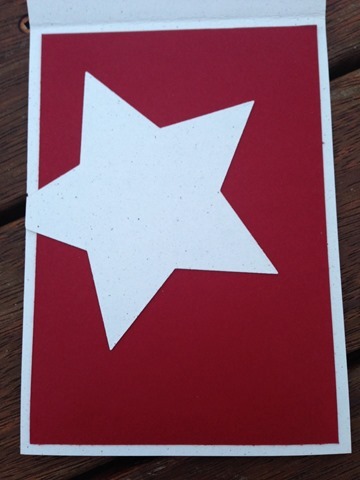 I have cut out a star in Red Shimmer card and also in Acetate and stuck them over a cut out piece on the card base. 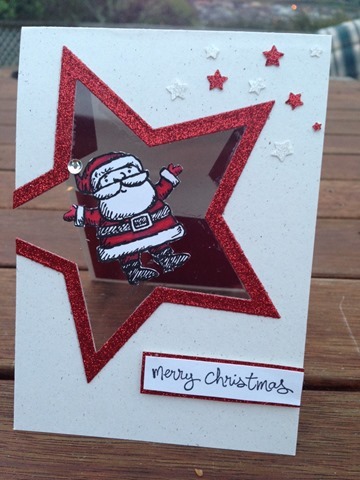 I have then used a glue dot and stuck the santa image to the acetate. 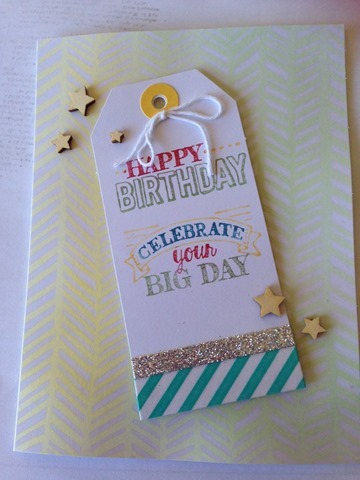 I have used the Confetti stars punch to punch out the little stars scattered around the card. For the inset I have added back the star that was cut out of the front and stuck that on a piece of Cherry cobbler cardstock. 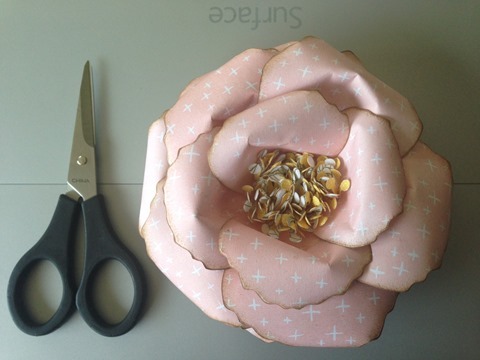 Here is a list of all the talented ladies in the blog hop in case you get lost along the way.